COLUMBUS — Flooding is one of the most frequent and expensive natural disasters in the country, with Ohioans having experienced their fair share of destruction. During Ohio’s Spring Severe Weather Awareness Week, March 17-23, Governor Mike DeWine and Department of Insurance Director Jillian Froment are urging Ohioans to evaluate what is an adequate level of insurance protection for their property and belongings. Listing possessions with photos and their values will prove worthwhile in a claim filing situation and help determine if you have adequate amounts of insurance. Download the free phone app myHOME Scr.APP.book or use a paper-home-inventory-checklist at www.insurance.ohio.gov. Communicate with your insurance agent and review your policies to ensure you have suitable insurance protection. Visit the Ohio Department of Insurance severe weather preparation and recovery online toolkit and call 1-800-686-1526 with questions. 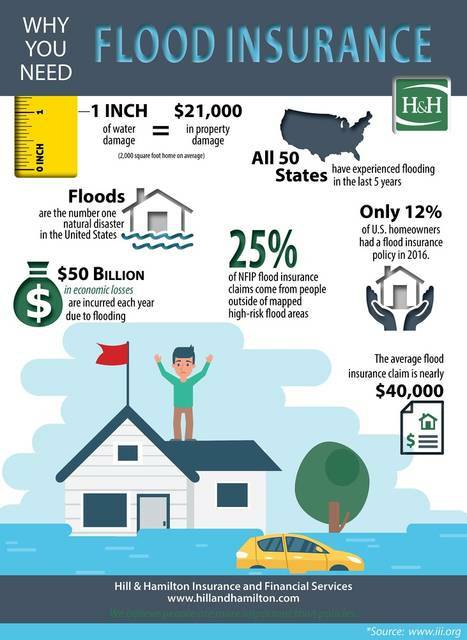 If you have a problem or questions about flood insurance coverage, contact your agent or the NFIP at 1-800-427-4661 or www.floodsmart.gov. Severe weather safety information is available from the Ohio Committee for Severe Weather Awareness at www.weathersafety.ohio.gov. To determine your risk of flooding visit the flood map tool at www.fema.gov.